Very Good. 0393338967 Very Good Condition-May show some limited signs of wear and may have a remainder mark. Pages and dust cover are intact and not marred by notes or highlighting. Tracking is not available for orders shipped outside of the United States. David Small's harrowing story pushes some personal buttons with me, although I think I'd still like it just as much if that weren't the case. A psychologically intense graphic memoir of childhood and adolescence, in much the same vein as Alison Bechdel's Fun Home: A Family Tragicomic and Are You My Mother? Small's memoir is, if anything, even bleaker than Bechdel's. Small relates his youth in a loveless home, and the disfiguring throat operation to remove a thyroid cancer his family wouldn't for years admit to him he had. 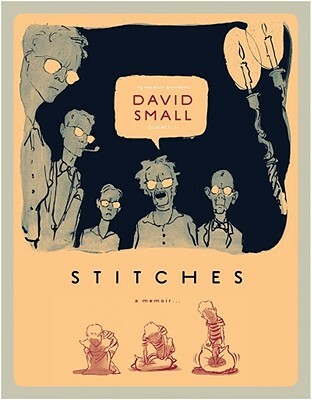 Emotional and impressionistic where Bechdel's is analytic and solidly grounded in incontestable fact, Small's style makes his work a much quicker read, if no less affecting and grim. Thanks to the ministrations of caring psychoanalysts, both authors (obviously) come out of their childhood trials alive and with renewed purpose and artistic strength. The world and the memoir genre are much the better for them both.